How Far is India Builders Vaagai? Vaagai is yet another prestigious project of India Builders. 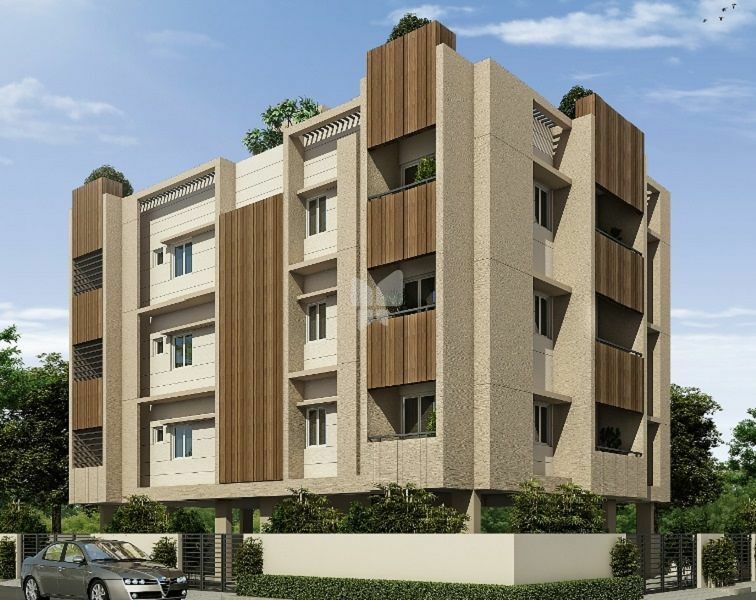 Developed with 2.5BHK Apartments currently which are under construction available with Completion Certificate which is available for sale in Anna Nagar, Chennai. This ‘elegant embodiment’ comes with six tastefully done premium 3-bedroom apartments spread across stilt + 3 floors right at the heart of Anna Nagar. Each 3-bedroom apartment measuring 1202sq.ft is built keeping in mind all modern-day household requirements to allow you to enjoy a comfortable life when you move in. The construction is so elegant, modern and spacious that you get loads of privacy and peace of mind. 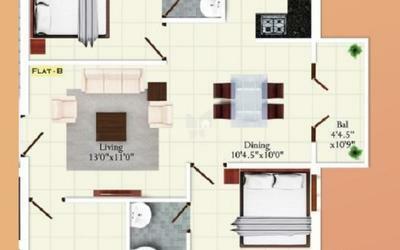 The project is well planned with unique floor plans to offer maximum sunlight into the apartment. Each apartment is constructed as per ‘Vaastu’ guidelines to ensure you get the abundant flow of positive energy from all the directions ensuring you lead a healthy, wealthy and comfortable life at Vaagai. This Stilt+3-storied apartment offers you unmatched comforts, location advantage, lift, covered car parking space, opulent interiors, high quality construction, decorated roof etc., You need to see it to believe it. Vaagai is a fully secured compound. Perfect security arrangements are in place to ensure no unwanted intruder disturbs your peaceful life. The project is developed with an ample number of amenities such as fencing, gated community, rainwater harvesting, power backup and many more. Since its inception in 1987, India Builders (Chennai) Limited has always strived to be a company, which sets the benchmark for others in the Real Estate business. Our organization is being managed by two professionally qualified Civil Engineers from College of Engineering, Guindy. Having an engineering excellence of more than 32 years, we have achieved a milestone of constructing over 250 projects amounting to more than one million square feet of constructed area and are known as a company, which perseveres in providing the best of apartments to our deserving customers. And the company is well known for having provided secured apartments, properties, flats and living spaces of various kinds in chennai. India Builders is also prominent in providing properties for sale in Chennai. Year of Incorporation: August 1987.